Basketball. 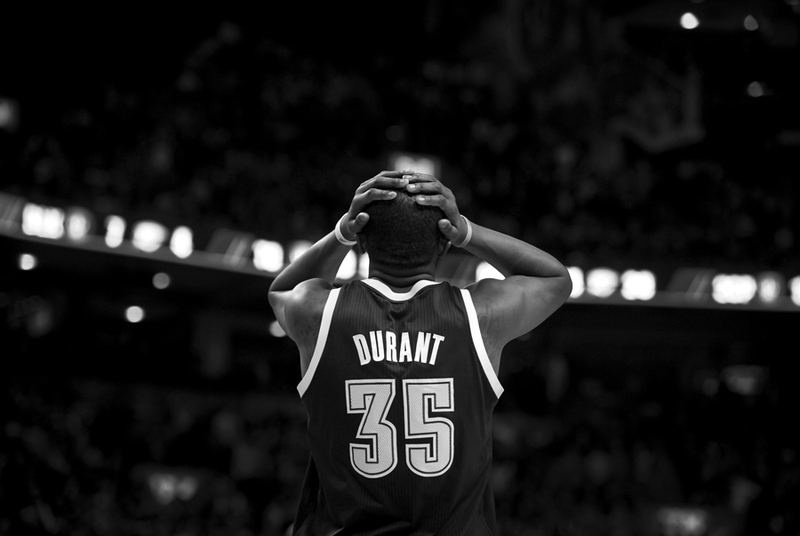 Kevin Durant is good at it. 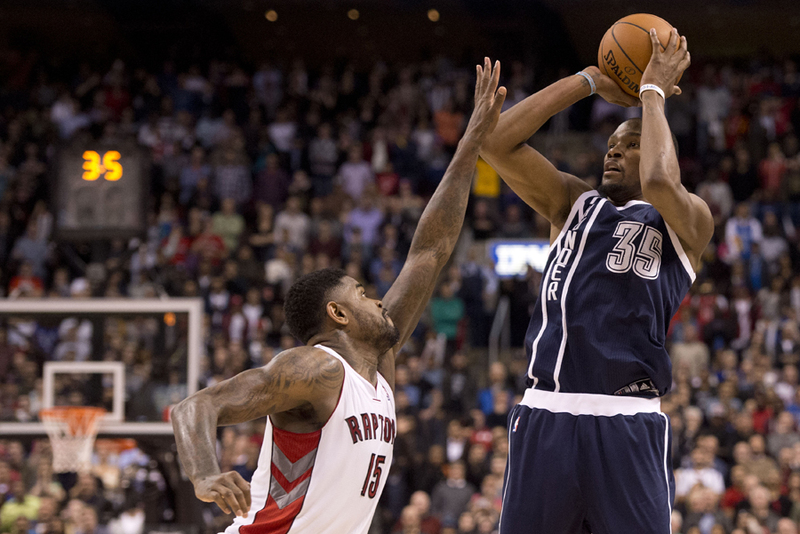 Oklahoma City Thunders’ Kevin Durant shoots the game-winning shot over Toronto Raptors’ Amir Johnson with 3.5 second left in double overtime in Toronto. The Raptors lost to the Thunder 119-118. 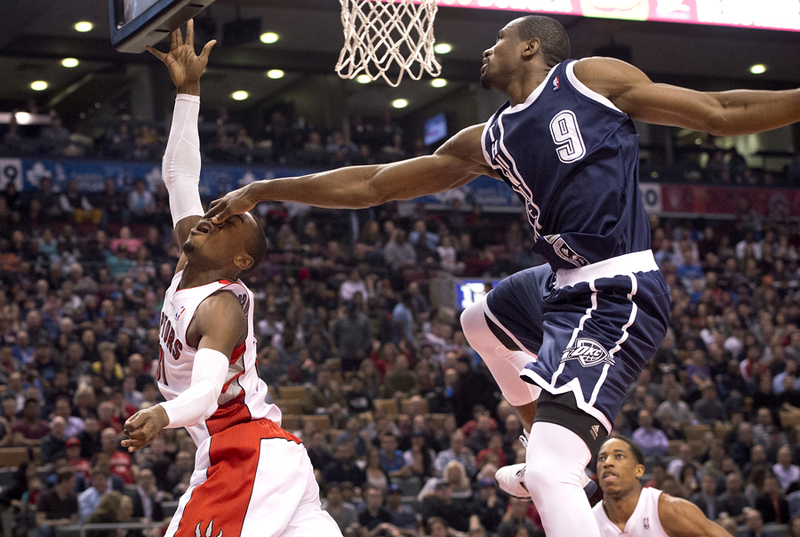 Oklahoma City Thunders’ Kevin Durant during second half NBA action against the Toronto Raptors in Toronto.